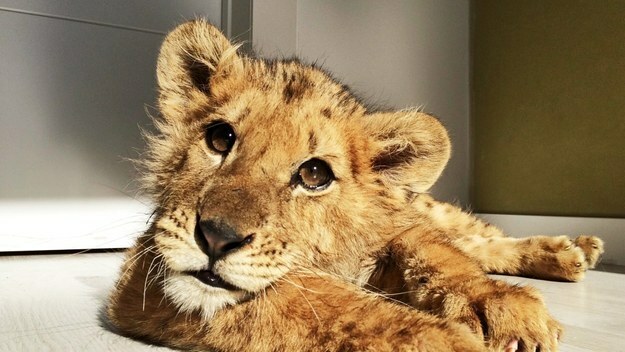 Veterinarians from across the world rushed to save the cub and are now trying to get it to a wildlife sanctuary in South Africa. 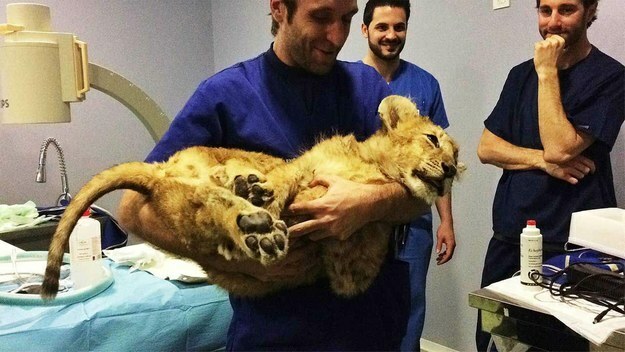 This is Magnus, a lion cub born in captivity who was fed nothing but yogurt and bread to stunt his growth at a Spanish circus. 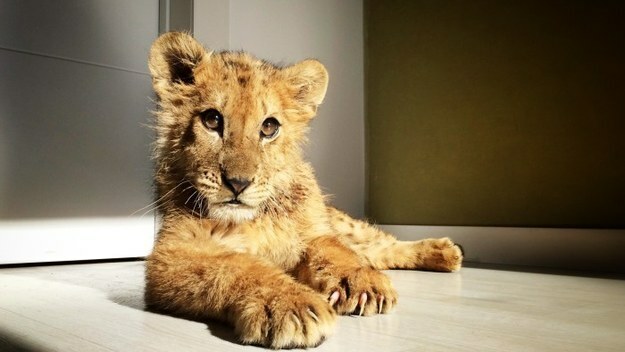 The lion was separated from his mother just days after birth so he could be turned into a tourist attraction for the circus, according to Let’s Adopt! Global, the organization behind his rescue. Problem is, lions gain body mass fast. So in order to keep Magnus small for as long as possible — and to maximize how long the circus could charge tourists 20 euros to take a picture with the cat — his handlers fed him nothing but a mix of yogurt and bread, rescuers said. The inadequate diet, though, led to potentially deadly complications, arresting the development of Magnus’ bones and muscles. Eventually, he developed Stenosis of the Esophagus — essentially narrowing of the esophagus passage — which made it impossible for him to normally ingest food. Basically, having never had solid food, his esophagus had narrowed to the point of being practically impassible. When Magnus became to sickly for use, the circus owner tried to have the four-month-old euthanized earlier this month. 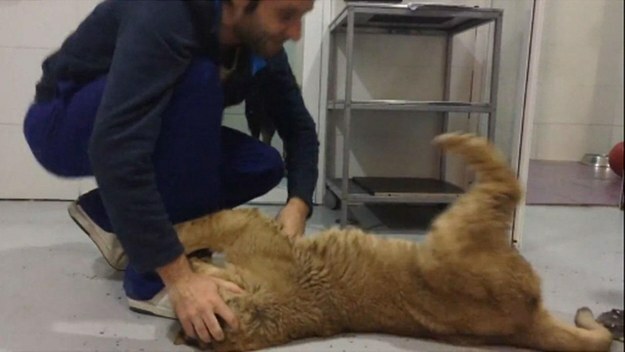 Instead, Spanish authorities seized the cub and brought him to a veterinarian clinic. Unfortunately, Magnus had already deteriorated to the point where he needed surgery, otherwise he’d be unable to properly ingest food and die. The local veterinarian, however, didn’t have the money to pay for the procedure and contacted Let’s Adopt! Global, a group based in Turkey. The organization immediately launched a campaign to raise the necessary money. Since Magnus’ esophagus was widened, he’s been able to slowly start eating crushed solid food and gain weight. He also appears to be in better spirits. Now Let’s Go! 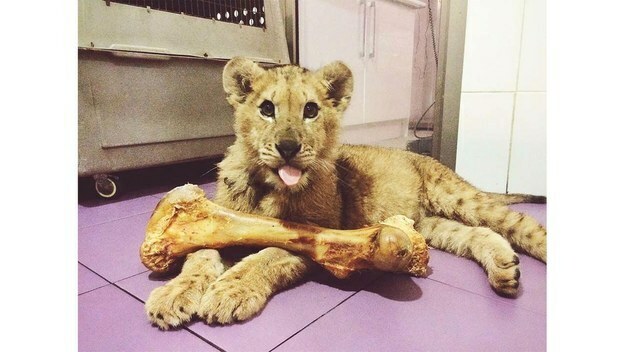 Global is trying to raise enough money to transport the little guy to the Glenn Garrif Lions Reserve in South Africa. But in an email to BuzzFeed News, organizer Viktor Larkill said the group will need to raise an estimated $15,000. You can make a contribution to his rescue here, because, Magnus. And track Magnus’ recovery and journey on Facebook here.